Here in Ireland, Rigpa has four city centres and a number of study groups, as well as being home to Dzogchen Beara, Rigpa’s retreat centre in West Cork. We offer a place where everyone, regardless of age, background, of all faiths or none, is welcome to come and explore the methods and techniques that come from the Buddhist tradition. 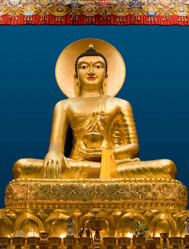 Rigpa Ireland is a non-profit organization (CHY 19478; Registered Charity Number 2007645). Its work is supported entirely by contributions and donations from students and friends of Rigpa. The overwhelming majority of people who work for Rigpa are volunteers. Rigpa Ireland is on the journey to adoption of the Governance Code, a code of practice for good governance of community, voluntary and charitable organizations in Ireland. Read press statements about these developments. Everyone who participates in Rigpa has a responsibility to conduct themselves in accordance with the laws of the land and the values outlined in the Rigpa Code of Conduct. Extensive advice about ethical conduct already exists within the teaching of Buddha – the Code of Conduct, summarises key features while providing practical guidelines to clarify what is expected of all who participate in Rigpa events and activities. Over several months in 2017/8, the international Rigpa community took part in a series of workshops and discussions, and had opportunities to submit feedback on these issues. Their combined input was also distilled into a broad set of Shared Values and Guidelines of the Rigpa Community, which are rooted in the wisdom and compassion of the Buddhist path, and complement the Code of Conduct for Rigpa members and anyone with a role in the activities associated with Rigpa. The Code of Conduct and the Values and Guidelines are intended to serve as a basis for education and training, and to inspire individuals to reflect on their own behaviour, in the light of contemporary secular and Buddhist ethical standards, and provide a clear basis to report breaches of conduct and resolve grievances.